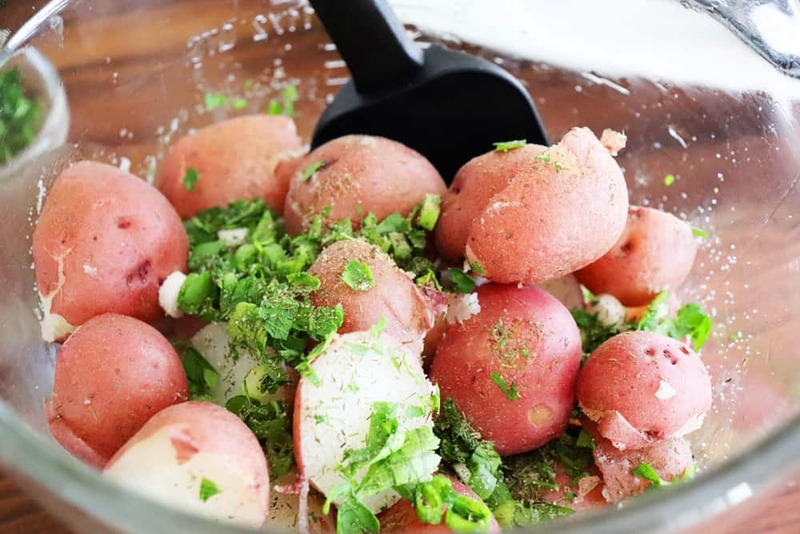 Spring has sprung and it’s about time for some really light and fresh side dishes starting with this Warm Potato Salad with Dijon Vinaigrette. 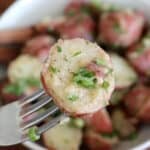 Baby red potatoes are dressed with a red wine vinegar, Dijon and olive oil vinaigrette then tossed with a mixture of herbs. I really think you are going to love this salad. 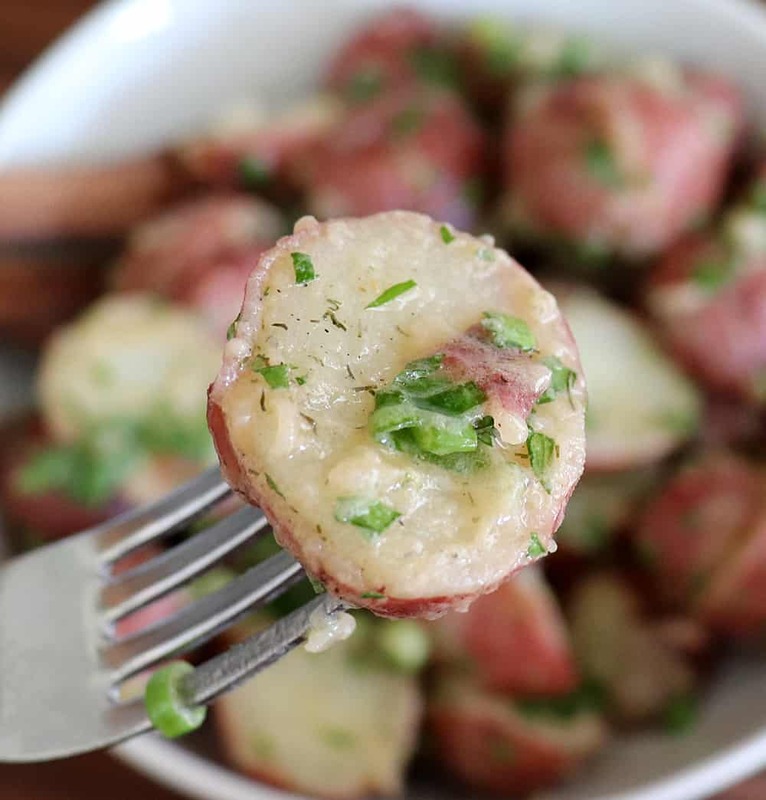 I’m using these baby red potatoes because they work perfectly for this recipe. 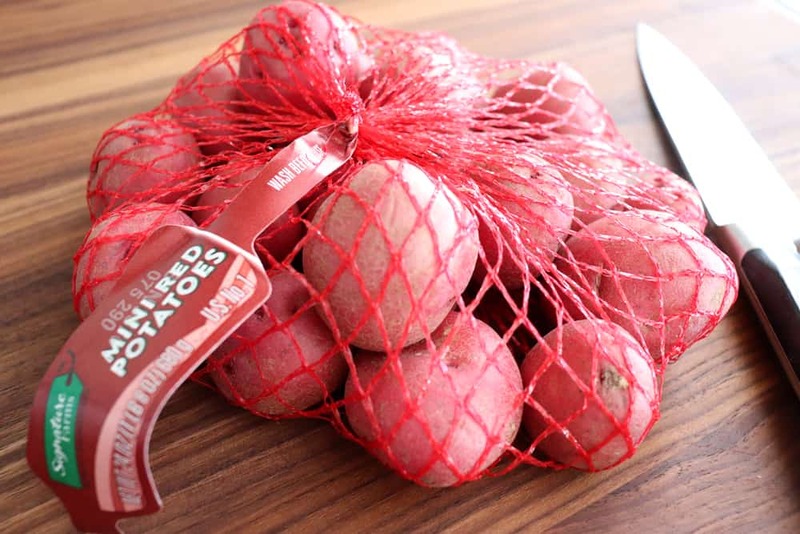 You can use any potato if you can’t find them. Give them a good rinse and then place into a large pot of boiling water, cooking until they are tender. 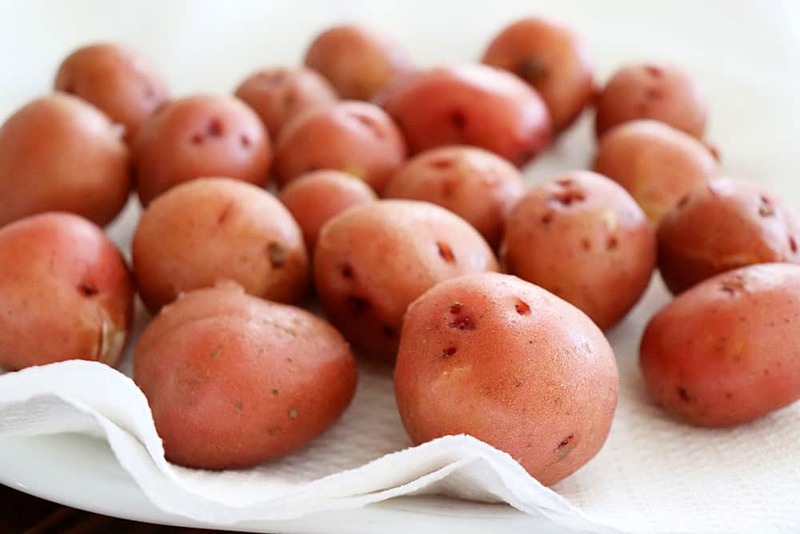 Cool the potatoes on a paper towel. 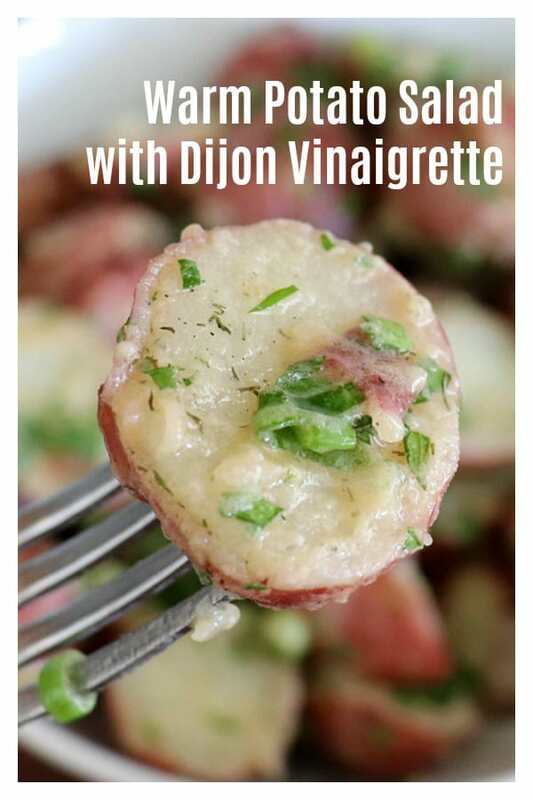 While the potatoes are cooling, let’s make the vinaigrette! In a large bowl, add the red wine vinegar. 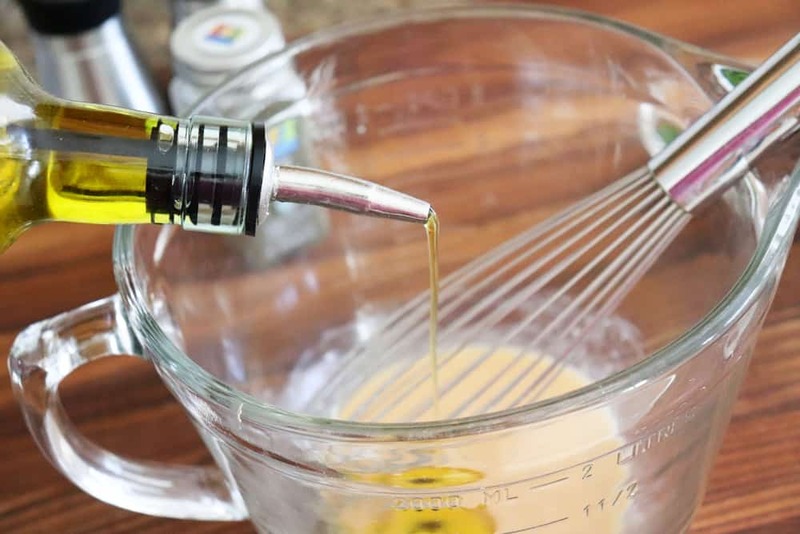 Drizzle the olive oil slowly while whisking to combine. 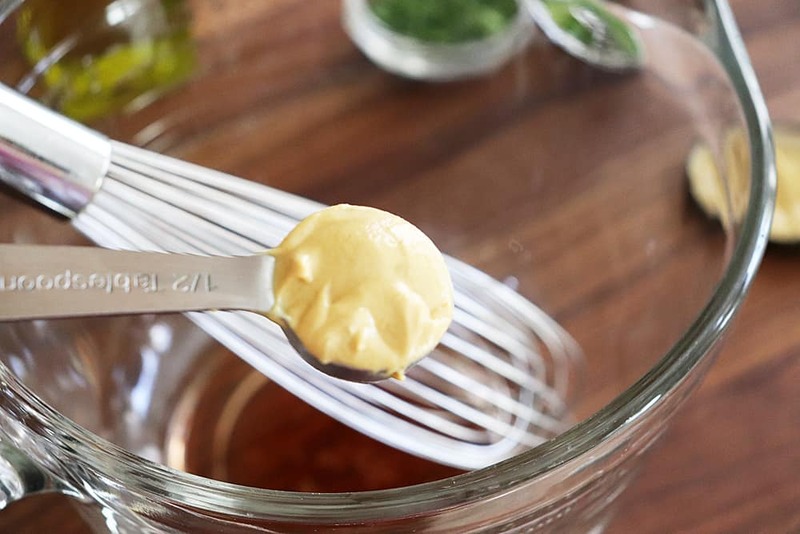 The mustard will help emulsify the dressing and it should come together relatively quickly. 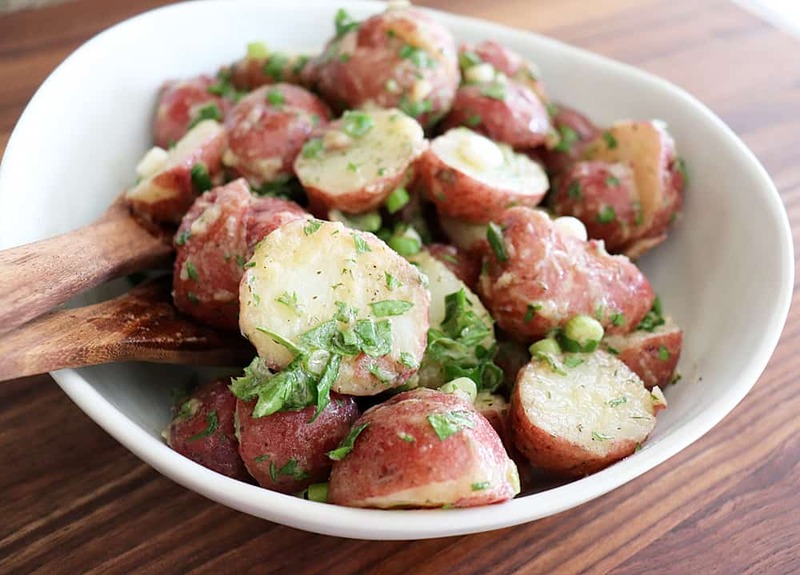 While the potatoes are still warm, slice them in half and add to the prepared vinaigrette along with the herbs. Season with salt and pepper. Give everything a good toss and add to a serving bowl. This salad is also great cold, so leftovers work well here. 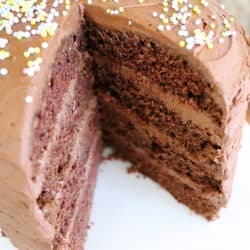 If you try this recipe, leave a comment below and let me know what you thought. 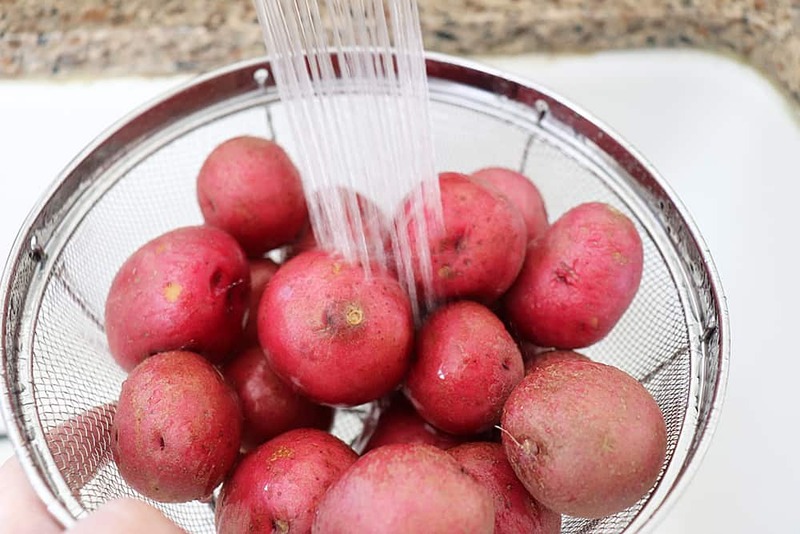 Scrub potatoes and place into a pot of boiling water. Cook until tender. Drain on paper towels and cool slightly. 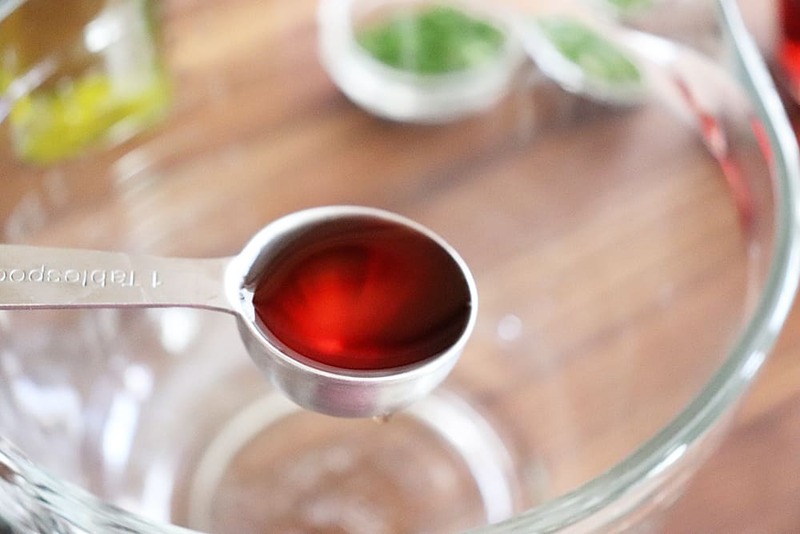 In a large bowl, combine the red wine vinegar and Dijon. Drizzle in the olive oil while whisking constantly. 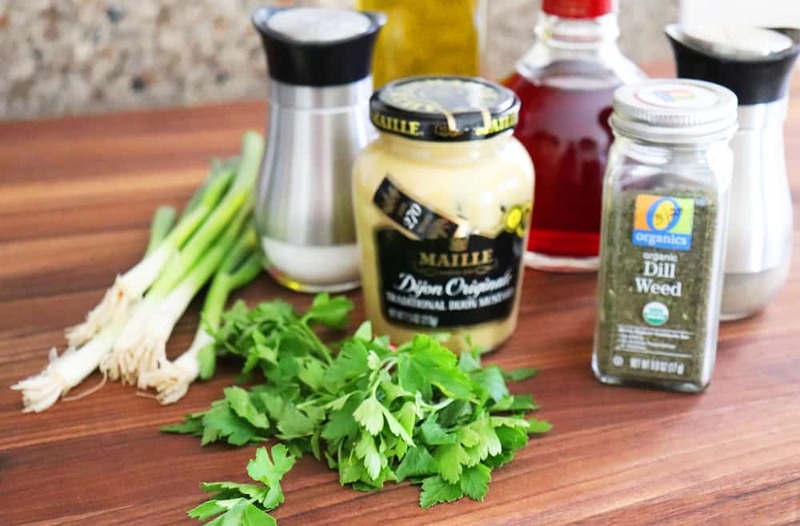 The mustard will emulsify the dressing. 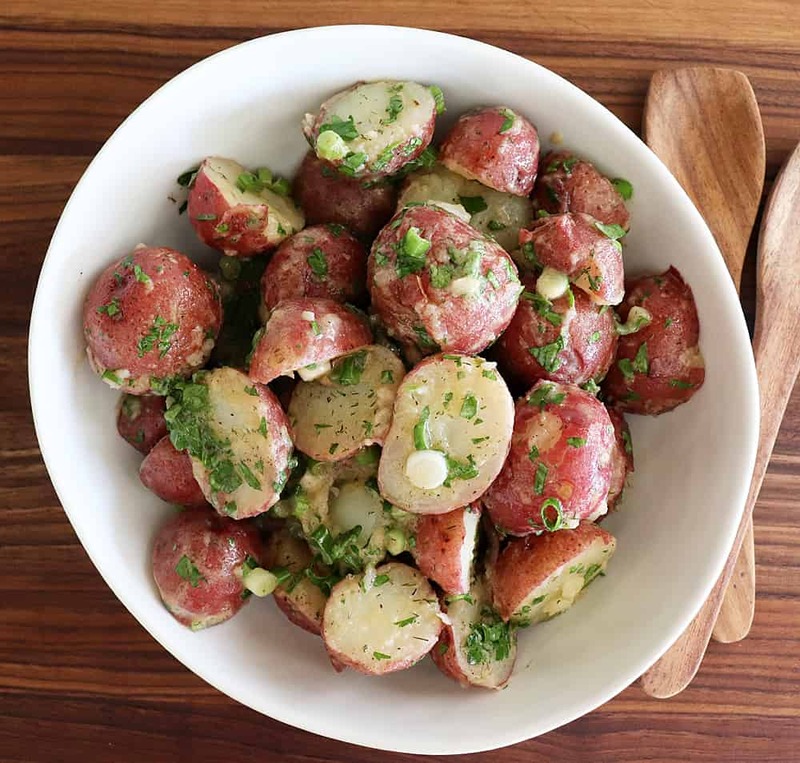 Add the slightly cooled potatoes that you have halved along with the remaining herbs and seasonings. 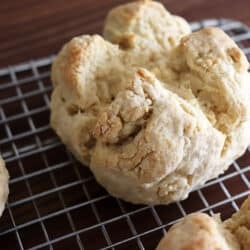 Toss gently to coat.